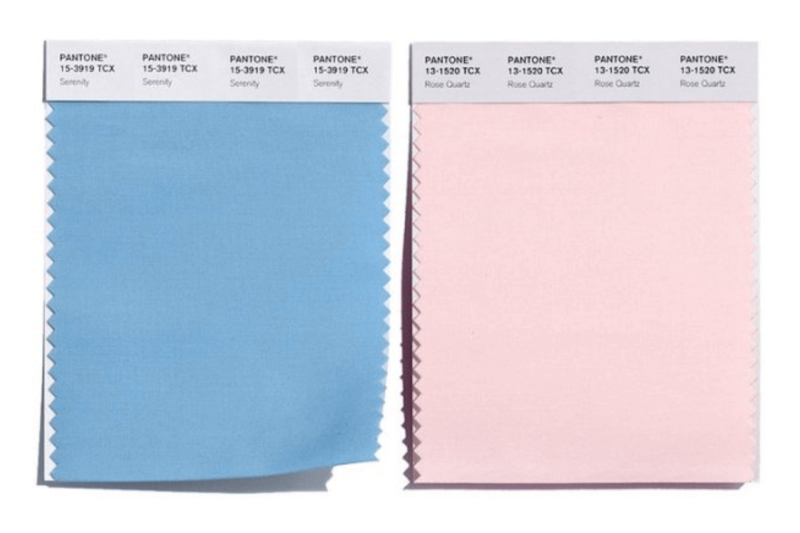 PANTONE has announced their colour of the year for 2016 and this time they have chosen a blending of two shades – Rose Quartz (PANTONE 13-1520) and Serenity (PANTONE 15-3919). Rose Quartz is described as “a persuasive yet gentle tone that conveys compassion and a sense of composure”. Serenity as “weightless and airy, like the expanse of the blue sky above us, bringing feelings of respite and relaxation even in turbulent times”. According to Pantone’s announcement about the chosen hues “As consumers seek mindfulness and well-being as an antidote to modern day stresses, welcoming colors that psychologically fulfill our yearning for reassurance and security are becoming more prominent. Joined together, Rose Quartz and Serenity demonstrate an inherent balance between a warmer embracing rose tone and the cooler tranquil blue, reflecting connection and wellness as well as a soothing sense of order and peace.